Colorado Springs Felony Domestic Violence Attorney | Anaya McKedy P.C. Domestic violence in Colorado is a sentencing enhancer, rather than a single, specific offense. Consequently, the underlying charge(s) associated with a domestic violence case will impact whether misdemeanor or felony domestic violence charges are filed. 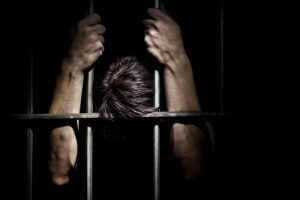 Help our clients successfully navigate the criminal justice system. When you partner with us to fight felony domestic violence charges, you can be confident that you have tough, strategic advocates on your side, ready to work relentlessly to help you achieve the best resolution possible. Have You Been Accused of Felony Domestic Violence? We are available 24/7 to answer your questions, assuage your concerns and defend you. We can meet you and/or a loved one at jail or at our Colorado Springs office. We can also discuss your case over the phone. When Are Felony Habitual Domestic Violence Charges Filed? Count prior domestic violence convictions in municipal court when pursuing cases in county court – Prior to this law, the count on priors for municipal cases would reset when cases were filed in county courts. Argue prior convictions that juries did not find to be associated with domestic violence were, in fact, acts of domestic violence – This can mean, for instance, that a prior assault conviction that was not found to by jurors to be associated with domestic violence at the time can be used by a prosecutor in the future to contend that the accused has a history of domestic violence. Essentially, this gives prosecutors the authority to leverage prior convictions towards elevating domestic violence charges to the felony level and seeking a “habitual offender” status for the accused. How Can I Fight Felony Domestic Violence? The best strategies for fighting felony domestic violence charges will depend on the facts and evidence associated with the case. A lawyer at Anaya-McKedy, P.C. can provide more insight regarding your best defense options, after discussing the specifics of your case during an initial consultation. We represent civilians and members from all branches of the military in felony domestic violence cases. The allegations were falsely made on purpose, like to get revenge or gain leverage in a family court case. The accused was only defending him- or herself. Bolster Your Case with 30+ Years of Criminal Trial Experience: Contact an Experienced Colorado Springs Domestic Violence Lawyer at Anaya-McKedy, P.C. Do NOT settle for a guilty plea without contacting Anaya-McKedy, P.C. Put your freedom, reputation and future in the experienced hands of our lawyers. We will fight for you and work relentlessly to defend you, minimize the negative impacts and achieve the best outcomes possible. We understand that your case is likely the most important thing in your life, and we will treat it with the highest level of expertise, professionalism, care and diligence. Our extensive experience and record of success in domestic violence (and other criminal) cases have earned us many professional honors, 5-star reviews on Facebook and Google, and the respect of colleagues, local judges and prosecutors.